Robert Alexander Wylie (or Wiley) was born on 14 July 1886 at Cloghtogle, Lisbellaw, County Fermanagh, the second of six children of farmer Andrew Wylie and his wife Margaret (nee Finlay). His mother died when he was just nine years old. By 1911 he was living at Cloghtogle with his father and two brothers and working on the family farm. Wylie enlisted in the North Irish Horse on its formation at Newbridge on 6 July 1908 (No.70) – so probably also served in the regiment's predecessor, the North of Ireland Imperial Yeomanry. Enlisting at the same time was Samuel John Wylie from Fermanagh, who may have been Robert's cousin. Robert's younger brother, William James Wylie, enlisted in the North Irish Horse in April the following year. Wylie embarked for France on 17 August 1914 with A Squadron of the North Irish Horse, seeing action in the retreat from Mons and advance to the Aisne. He remained with A Squadron in France and Belgium through the following years. In mid-1917, while the 1st North Irish Horse Regiment (which included A Squadron) was billeted between the villages of Blaireville and Hendecourt-lès-Ransart, Wylie was accidentally wounded during trench warfare training. He was evacuated to the 37th Casualty Clearing Station at Avesnes-le-Comte, but died on 26 June. 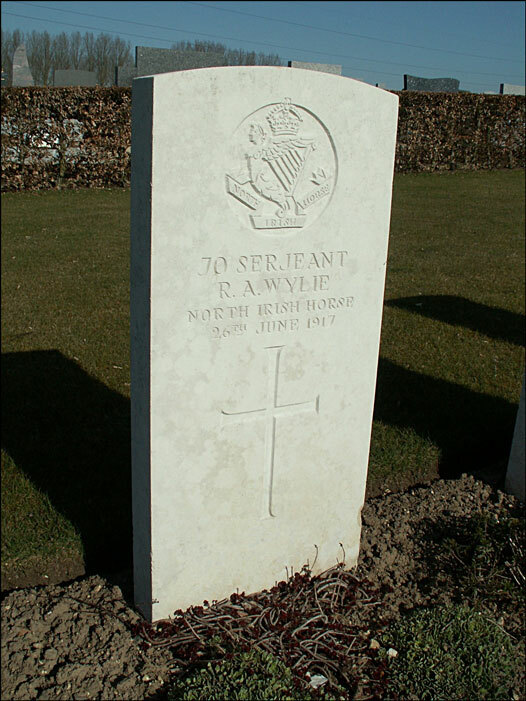 He was buried at Avesnes-le-Comte Communal Cemetery Extension, Pas de Calais, France, grave I.D.19. Other images of Sergeant Wylie can be seen here and here. 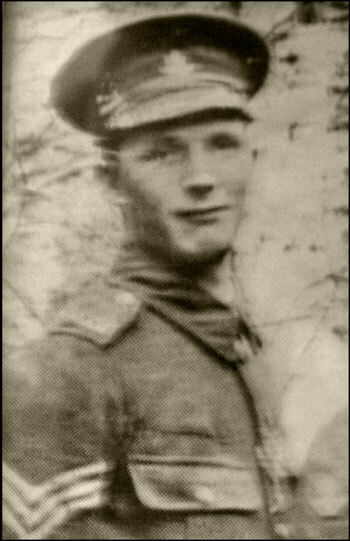 Image of Sergeant Wylie sourced from the Lisbellaw WW1 Commemorative Project. Gravestone image kindly provided by Simon Godly - see his First World War website at www.webmatters.net.